At work I often hold tech sessions to teach people how to use mobile phones, tablets, e readers and laptops, so I've had a play about with a fair few gadgets. My latest sessions were Augmented Reality drop-ins for kids. My advice to you is if you have an ipad, download String from the apple store, print out the pictures and be amazed! 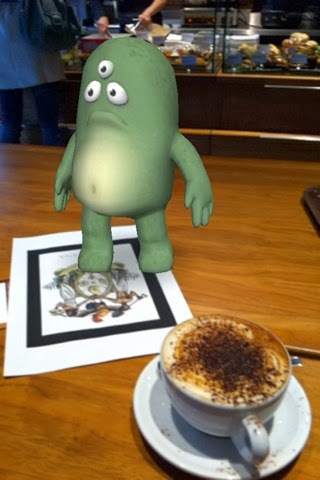 There are other AR apps out there, but this has to be the best and they're working on an android version as we speak. Tablets really are an essential bit of tech these days for convenience and browsing the web when you're out and about. I've used ipads, ipad mini, Nexus 7, Hudl, Windows and various other lesser known brands. The ipad of course is a classic and it's popular for a reason. The quality is fabulous and you get some really awesome apps, but I do find it a bit cumbersome and heavy to hold. It's great for watching movies on and has some really excellent apps for kids, but the down side with apple is you're very restricted and you pay for just about everything. I do like having one, but It's not my go-to tablet. 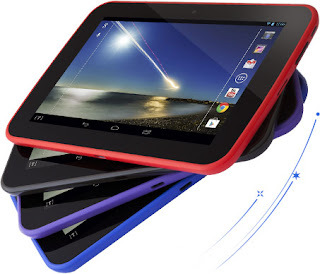 I also have a Nexus 7 which I loved until it refused to switch on after running out of charge. After an internet search I found out this is a common glitch and I'm going to have to send it back. In the meantime I got a Hudl from Tesco. I know, I know, how many tablets does one family need? Well there are three of us you know! I'd heard great things about the Hudl and I have to say I'm very impressed. The Hudl is a lovely size and nice to hold.. The screen is crisp and it's easy to navigate. If you have a smart phone you will instantly know how to use the Hudl and if not, well there's an on screen guide to help you. It has five home screens you can swipe through right and left. You're free to fill them with icons for all your favourite apps and widgets. The screen also rotates when you turn it from landscape to portrait. You can have different logins for different members of the family. Each person can set up their own page/links/background to their liking. The battery last for ages. It's quoted as 9 hours for movie use and I can honestly say it does last a really long time between charges. The screen is scratch resistant. I can report I don't have any so far. It comes in black, purple, blue and red. Google Now: You can use this to go directly into a google search, but as you sign up with Google when you are setting up the tablet (optional), you can add more personal information and have this tailored to your location and habits, which can be useful for things such as restaurant info or travel times. Google Voice Search: If the little icon appears on screen you can speak your instructions instead of typing them. I haven't tried this yet. Status Area: This is for your battery life, if wi-fi is available or to show you have an alarm set. Quick Access: This holds the 6 icons of your choice, that are static on the screen no matter what home screen you are on. All Apps: Opens your library where every app and widget on your gadget is held. Tesco App: The T takes you to Tesco services. You can login and start shopping straight away or check out your Tesco account as well as accessing their other services. This is handy for me as I do use Tesco deliveries occasionally and our mobiles are on Tesco contracts, so I can pop straight in with no hassle. I like to take the Hudl into the kitchen when I'm following a recipe, either one of my own or one from another website. No rushing back and forward to the laptop or scribbling down the details before I start to cook. It isn't too big for my small island unit and the screen is crisp enough for me to follow a recipe without peering at it. If I get a splash or a dusting of icing sugar on it, it's easily wiped unlike a cookbook. I can just sum it up by saying I love it! Hudl all the way! Oh and I nearly forgot the most important bit. It's on Tesco Boost, so if you have enough Tesco vouchers you can boost and get it for half price. A bargain and what a great Christmas gift. Note: At the time of going to press the Hudl was not in stock online, but still available to buy instore at Tesco Extras. Disclosure: Tesco sent me a Hudl for review purposes. I was not expected to write a positive review and any opinions expressed are my own. Thanks Nayna, they are worth thinking about if you are thinking of buying a tablet. My mum has a hudl and it's changed her life! She previously had a really slow PC up in her study, but now she can check her emails and surf the web wherever she is in the house which is just brilliant. She's also got set up with skype which is cool which means she can see the kids more often online as she lives a few hours drive from us. 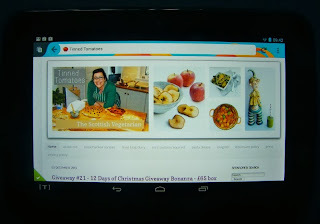 I love the idea of a little tablet I could use for recipe work while cooking. I have my laptop in the kitchen but don't keep it too near the hob so am always to-ing and fro-ing. I'm seriously tempted! That's brilliant Katie, I can imagine the difference it makes to your mum. Tablets are far more convenient for people who are just surfing the web. If that is all you are doing a laptop is an expensive purchase and just not essential at all. It is actually perfect in the kitchen and I am loving it. Hey Janice, I do like my ipad, but so heavy to carry about, this is a far better option. LUCKY you Jac and also a GREAT review, very concise and informative! Thanks Karen, it's a great product. Well done Jac, an indepth review, that every one from students, to O.A.Ps, can understand,whether you're on the go or house bound this kind of review gives you confidence to get one, and stay in contact with people you know. Thanks Cyril, it is kind of you to say so. I like tech stuff too, Jacqueline. My iPad is enough for me, but agree it is a pain to haul around and too bulky to read books on, so Kindle is my go-to for reading. I still love books, but sometimes a kindle is handy and it's a great size. I agree about the ipad, fabulous but so big and heavy. It really ways you down. The hudl is a perfect handbag tablet and a good price too. Really useful as I am looking at tablets for my daughter for Christmas and I wanted to know if this was as value for money as it seemed - thankyou! It really is, I can truly recommend it and I have just bought another as a gift myself. Interesting! I'd never consider buying a tablet from Tescos. Thanks for the advice! It looks good Jac, and a great clear and honest review. I cannot believe that even 2 years ago I was still adamant that I did not need a tablet! I know, they are a must-have now. So convenient. Sold - getting one for my mum. I did hear it's a great starter tablet and the prize is excellent. Great review, thanks. She"ll love it & you'll be tempted yourself Ren. My boy has been fixated on these in Tesco as you might imagine. I didn't realise Hudl was on Android platform, I used to have one of the first Android phones and was very impressed with it. We're currently testing a new Microsoft Surface and I'm impressed how quick you've got this Hudl review up - I'm still mystified what to say about our new tablet, feel I've barely scraped the "Surface" of what it can do! 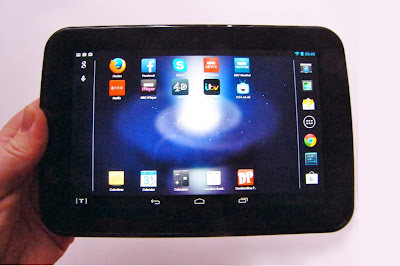 This one is as simple to use as an android phone Sarah, so an easy review.